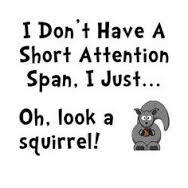 I came across this article that says that our attention spans have shortened since the year 2000 from 12 seconds to 8 seconds. We’ve been passed up by the goldfish. Our friendly bowl dwellers come in with an attention span of 9 seconds. Wow. The article goes on to discuss technology’s role in the decline. So many devices are competing for our immediate attention and our brains have to constantly keep up, and we’re struggling. On a positive note, we’ve become better at multi-tasking! Here at RocketWheel, we see the desire for “shorter, faster” when people come to us wanting to make videos. Just a few years ago, running times for explainer videos could be three minutes or longer. That is rarely the case now. The “sweetspot” for telling an effective story and keeping someone’s attention is now no longer than 90 seconds. That’s around 210-225 words. We’re getting more and more inquiries for 30-60 second videos and we have produced videos in that range. The shorter the video, the more precise the message has to be. There’s no time to thoroughly discuss a bunch of features or dive into a problem/solution cycle. Not every message is suitable for this kind of treatment. But with the popularity of apps like Twitter and its 140 characters and Periscope and Snapchat with their “Mission Impossible” self-destruct set-up, we better get used to consuming and producing shorter, crisper content. After all, in a couple years we may be vying with the fruit fly and their 3-second attention span. This entry was posted in Explainer Videos, Storytelling and tagged Explainer Videos, Periscope, RocketWheel, Snapchat, Twitter, video content marketing, video script. Bookmark the permalink.